"CC has been a great ambassador for our game, and we are proud that he has represented our organization for the past decade. His competitive spirit is matched only by his devotion to family and his relentless philanthropic pursuits. 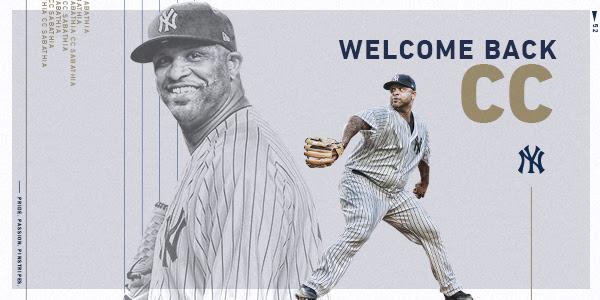 CC has always been a pillar in our clubhouse, and we look forward to him further cementing his impressive legacy this season and contributing to our championship goals." "I had the pleasure of competing against CC and also with him, and have always considered him one of my favorite teammates. He rose to and exceeded the expectations and pressure, especially during his time with the Yankees, and was a key piece to the 2009 championship team. 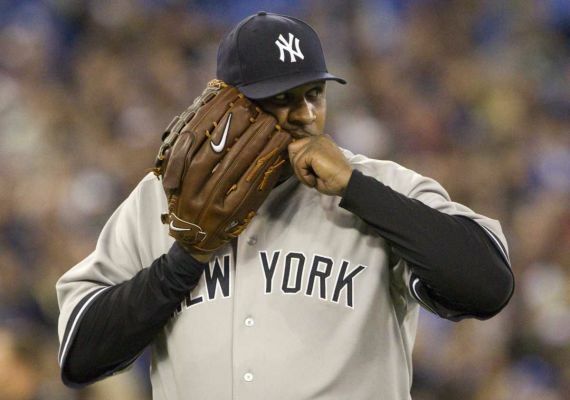 CC embodies what it means to be a professional athlete and has been an incredible ambassador for Baseball. He has an unwavering commitment to success on the field and an even greater desire to give back through his foundation work off the field." "I really loved everything about CC. He's one of my favorite teammates of all time. He always wanted the ball and never was afraid of any moment. He was perfect in big games and even more perfect in being there for his teammates." 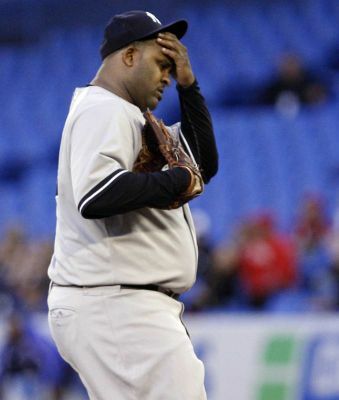 "When the Yankees signed CC in 2009, boy was I excited! I knew we were getting a workhorse and a man with a lot of passion to win, which is exactly what we did. 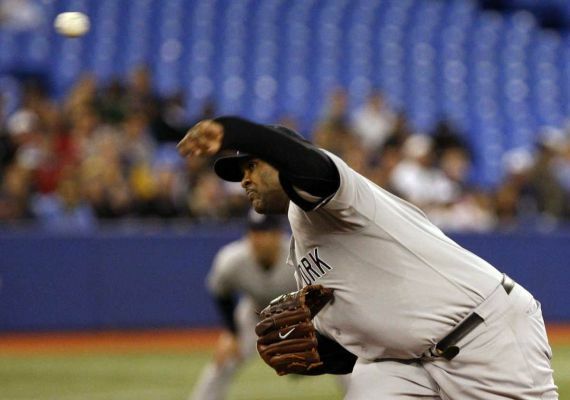 CC's will to win and competitive spirit is as good as I've seen in anyone I've ever pitched with. It's going to be sad to see him leave the game, but what a mark he left on it. A great friend and a great teammate — I'm looking forward to seeing him go into the Hall of Fame one day." "I am thankful to have managed a man who was — and who I know still is — a fierce competitor. He was the one you wanted on the mound in the big games and who always put his team first over individual goals. He was a true gamer who always united a clubhouse and made the lives of everyone around him better." "From the day we signed together becoming Yankees, to winning it all in '09, all the way through my last days as a Yankee, I can't say enough about CC. It was awesome throwing alongside you and winning a championship with you! You are a great teammate and a great man! Love ya big man! Congrats on a hell of a career!" "I want to congratulate CC on an incredible Major League career. Not only is he one of the best pitchers to ever play the game, but he'll also go down as one of the great competitors to ever pick up a baseball. His genuine love of the game and his undeniable passion have brought so much joy to fans for 19 seasons. It's been an honor to watch him play and I'm excited to see what he'll take on next. Congrats my friend." "As a baseball fan, I've been an admirer of CC for a long time and have marveled at the work he has done both on and off the field. The commitment and consistency that he has exemplified to his craft and to his community, including the Bay Area, over 18-plus years has been truly remarkable. Any pitcher that wins close to 250 games and a Cy Young Award is certainly ticketed for the Hall of Fame. He's had an incredible career." 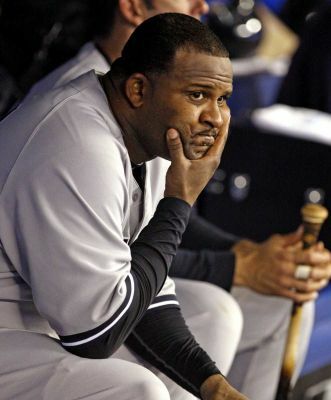 "CC has been one of the faces of Yankees baseball for a decade, and is a New York legend. I'm proud to call him a friend, and I'm proud of the impact he's had both on and off the field." "CC has been loved by Vallejo for many years and has been highly respected by the residents of Vallejo as a role model for our young people to follow. He has given back to the youth of Vallejo in all his many donations and sponsorships. Since 2001, when he signed on with the Cleveland Indians, to today as a valued pitcher for the New York Yankees, CC is our hometown hero. We thank him for recognizing his community and wish CC, his wife Amber and his children well in his retirement." "I watched CC at a young age, I watched him progress, I've been a teammate of his, I've faced him, and on both sides I loved the way he was a great competitor. CC was very smart with how he attacked guys with his power and how he slowed the game down with his slider and the cutter that he used out over the plate to get you out. That's why he is going to be, I hope, a Hall of Famer. He's had a tremendous career and he is a wonderful person. All of those things combined, that's what we root for in the game at the end of the day. Andrea and I adore CC's mother, Margie. She was such a warm, gentle soul around the ballpark, and CC is a great reflection of her. As players, sometimes we go from team to team, but it's those types of relationships that you don't ever forget. CC was a great teammate. He is a class act. He has had a wonderful, long career and the thing I would say for him is to enjoy the moment this year. When you go out West or you go to a city you love, if this is going to be your last year, embrace it and enjoy it to the fullest." 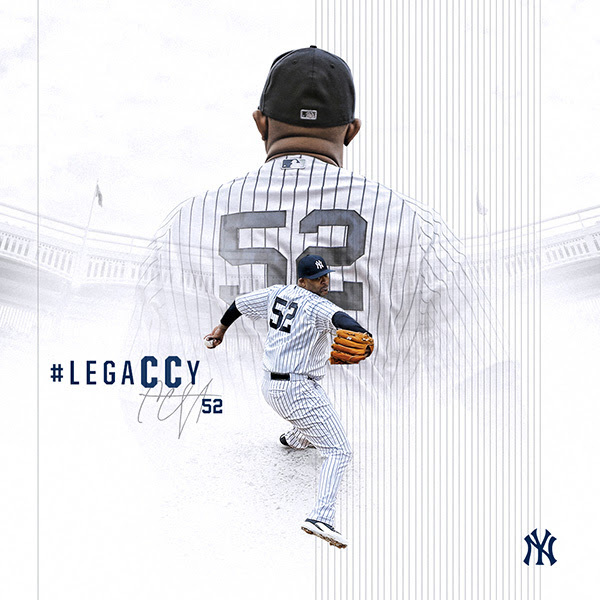 "CC is leaving a lasting legacy on both the game of baseball and the city of New York. CC helped bring this city a championship, and has dedicated countless hours to giving back through his PitCChIn Foundation. I'm grateful to have witnessed his Hall of Fame career, and I will forever cherish my friendship with CC and the entire Sabathia family."